SOLD, I will be making more, though. 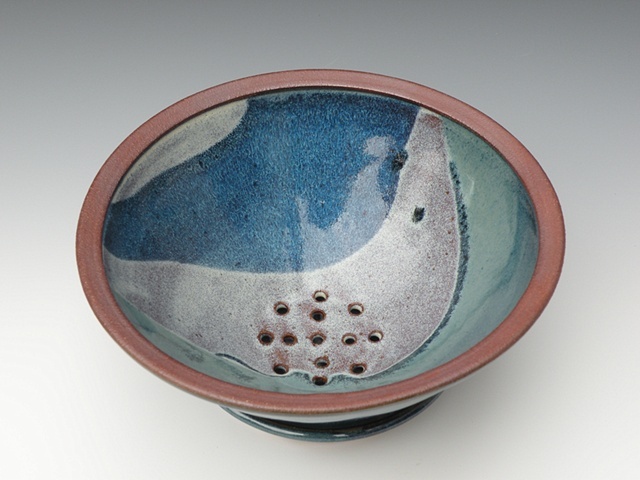 Collander bowl for washing, draining and serving berries. It comes with a little saucer. This glaze design is called Shenandoah, because I think it looks like our mountains here in Virginia. It is done with overlaps of four different glazes.